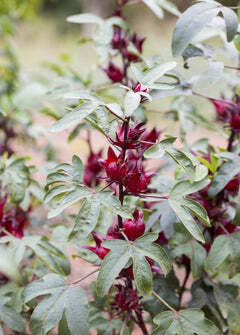 Guarana is a tropical climbing fruiting vine native to the Amazon basin that produces vibrant red berries. These berries are popularly cultivated for the energy boosting seeds. Primarily used to reduce physical and mental fatigue. Soil & Moisture: Well-draining soil with low fertility, low acidity and with high concentrations of aluminium soil with consistent watering. Climate Zones: USDA plant hardiness Zones 9-11. Needs frost protection.